In defending African big game trophy, we often hear the case that high fees afforded to take these hunts benefit local conservation. In essence, killing threatened species actually helps them to survive. It’s this same conservation model through fees and taxes that has sustained wild places in the United States such as the national park service, national forests and state parks. The Safari Club International estimates that hunting trips to Africa contribute $426 million to African economies each year. Now House Democrats in the Natural Resources Committee have released a new report that calls into question whether there is much benefit to conservation from these hunts at all. The report comes a year after the killing of Cecil the Lion by American dentist Walter Palmer, which drew widespread criticism by animal rights activists. Palmer and his guide are alleged to have lured a beloved lion from a protected area in order to hunt it. 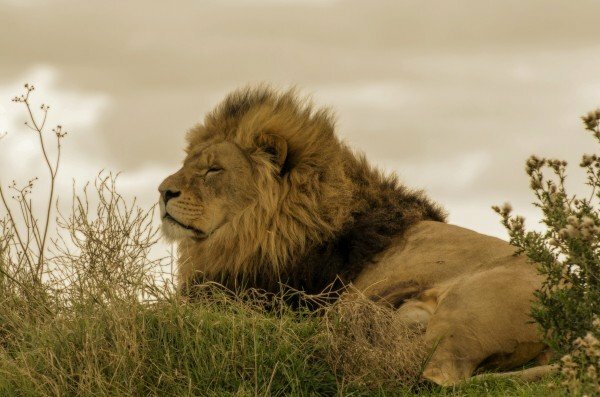 “As the tragic death of Cecil the Lion showed us, trophy hunters do not always play by the rules, and the trophy hunting industry needs to be regulated and held accountable for there to be any hope of a consistent conservation benefit,” the report states. Democrats hope to use the report to put restrictions on the importation of remains acquired during the hunt of a protected species. The US Fish and Wildlife Service already does not allow trophies of certain protected species in countries whose conservation program fails to meet the highest standards. But too often, the agency turns a blind eye, according to the report. Authors recommend the agency deny import requests from hunters convicted of a wildlife violation, close loopholes that allow some trophies without a permit, collect more data on trophy hunting and increase permit fees to fund science and conservation.